Ghosn wants to save $2.1 billion. Feeling the sting of operating losses around the world, Nissan Motor Co. and its French alliance partner Renault SA have assigned a task force to squeeze more savings out of shared vehicle platforms, assembly plants and purchases. 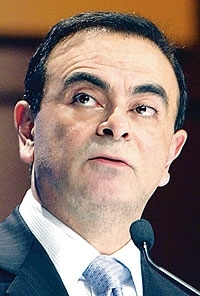 Carlos Ghosn -- CEO of both automakers -- has charged the group with coming up with $2.11 billion in combined savings for 2009. The quest for savings is digging deeper than ever. Now 10 years into the Renault-Nissan Alliance, finding new economies of scale is getting more challenging. Among the new targets: $68 million in savings from combined information systems. The organization was not ready for that a few years ago, Ghosn commented in a conversation with analysts in April. Both Renault and Nissan were generating cash in order to support the future. Its not any more the case today. So today, everybody understands that what was acceptable two years ago is not acceptable any more. Nissan posted a $2.84 billion loss for the fiscal year ending March 31. Renault closed 2008 with an operating loss of $389 million. As of April 2009, 100 percent of Nissan and Renaults shared purchasing activity is already being handled by an alliance office, the Renault-Nissan Purchasing Office. Under the new directive, the purchasing office will now expand into jointly purchased company services, and also step up acquisitions from Korea. The increased activity should yield $221.7 million in additional savings -- a small fraction of the two companies total global purchasing tab. The new plan also will put two Nissan vehicles into production at a Renault assembly plant in Brazil. That move will allow Nissan to step less expensively into the South American market, as it recently declared it would do. Ghosn says his companies will end up with 11 cross-manufactured models by the end of 2009, including some already in place. He has targeted production-related savings of $513 million.  $162 million in increased savings by sharing research and advanced technology resources on emission and safety fronts.